When I first discovered lash lifts on Instagram, I was obsessed. 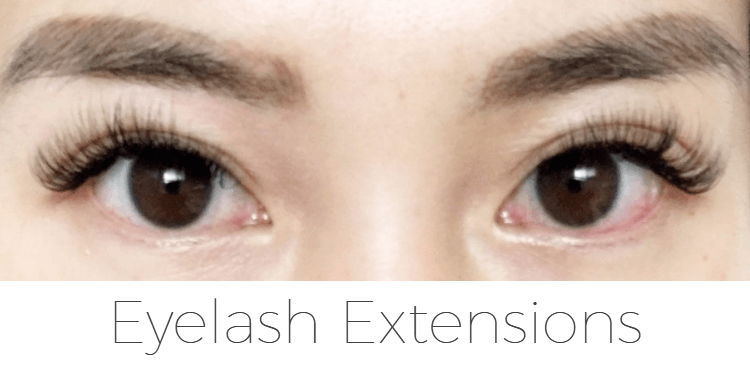 I knew I had to try it, but at the time (last summer), not many Vancouver salons were offering this lash enhancement procedure. 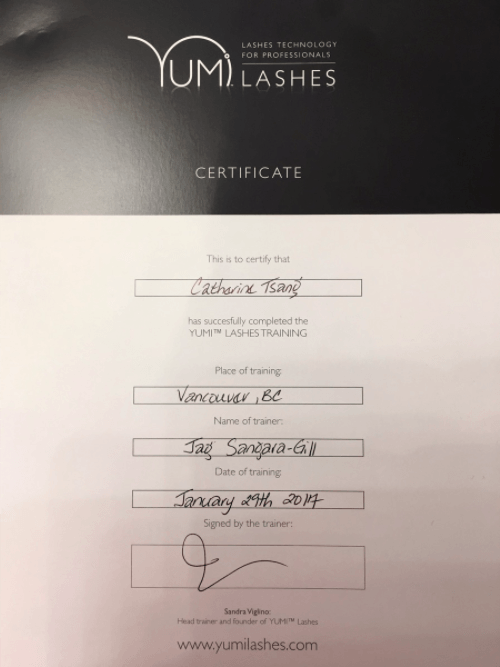 After doing some more research, I found a lash lift technician in downtown Vancouver. She uses YUMI Lashes, a brand that originates from France. Although I was super excited about my first lash lift appointment, I was also quite nervous. What if the lash lift won’t ‘work’ on me? I have short, straight lashes that refuse to hold a curl. Wearing mascara was never an option because it seemed to weigh my lashes down even more. I felt that my downward facing lashes made my eyes look smaller and less ‘awake’. My natural lashes with light eyeliner. The day of my lash lift appointment arrived and during the consultation, the technician assured me that I was a great candidate for the treatment. She first applied an eye mask underneath my eyes and then proceeded to ‘sculpt’ my lashes onto the silicon forms. She recommended that I try the smallest size form to maximize the lash lifting results. Next, she applied the lifting cream solution, followed by the fixing cream solution. Finally my lashes were tinted, my eye area was cleansed and a nourishing oil and mascara was applied. 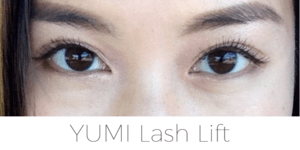 For more detailed information about the lash lifting process, visit my YUMI Lashes Lash Lift FAQ page here. I was instructed to open my eyes and they were a bit blurry at first. After a few blinks, my eyes cleared up. I was ready to see the results. My natural lashes have never looked so long before, and I didn’t realize I had so many. I never thought my lashes could ever look this good. A few days after my first YUMI Lashes lash lift with mascara. Are lash lifts better than eyelash extensions? First, it comes down to what your natural lashes are like and what your end goal is. My Russian volume eyelash extensions styled to give my eyes a rounder ‘dolly eye’ look. You can see a big difference in my eye shape compared to the photos above! Second, lifestyle should be considered. If you have concerns about possibly allergic reactions, ask your technician to do an allergy patch test at least 48 hours before your scheduled appointment. Are eyelash extensions bad for you? If an allergic reaction is severe or doesn’t subside, I would highly recommend getting your extensions removed and visiting your doctor. For less severe reactions or sensitivities that were built up over time, it’s a good idea to take a break from eyelash extensions for at least a few months. I’m so glad I discovered the lash lift. 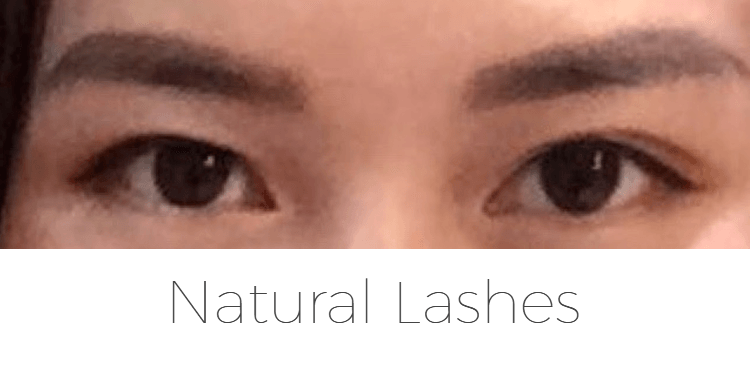 It has helped my natural lashes reach their full potential (I’ve never seen them so long!) and allowed me to enjoy sports and outdoor activities without having to worry about them. In fact, I loved the results so much, I took the YUMI Lashes lash lift course and got certified earlier this year! Book your lash lift online here! 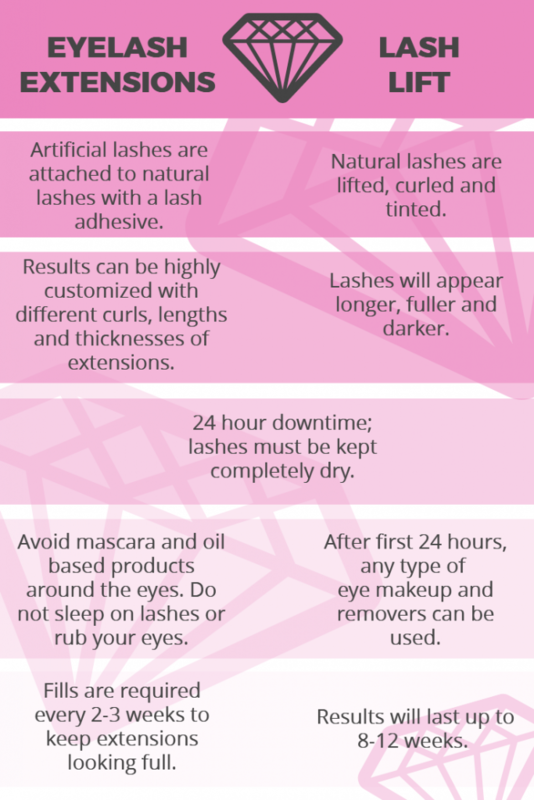 However, my natural lashes alone will never reach the length and thickness that I can achieve with eyelash extensions. Although it takes more work and dedication to maintain extensions, they are definitely worth it for special occasions! 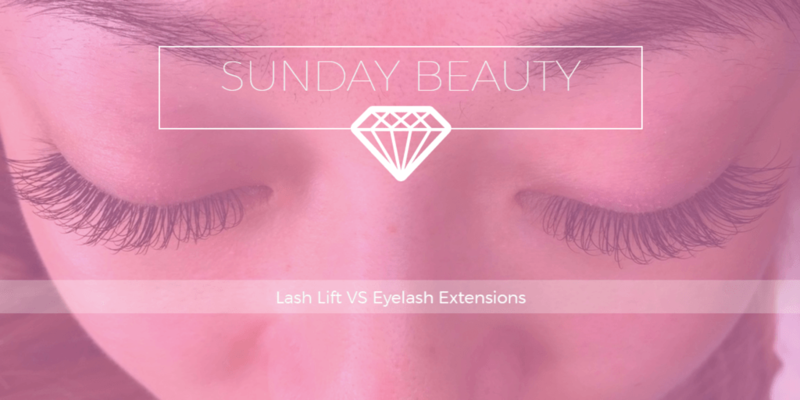 Have you tried a lash lift or eyelash extensions? Share your experience in the comments below!